......before finally being rewarded with their ang pows -- comprising of 2 golden chocolate coins for the joy of instant gratification! 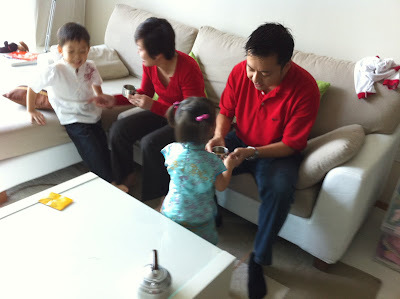 They did great at Yeh Yeh & Ah Mah's place as well.....and seemed to enjoy the visiting of relatives as well! 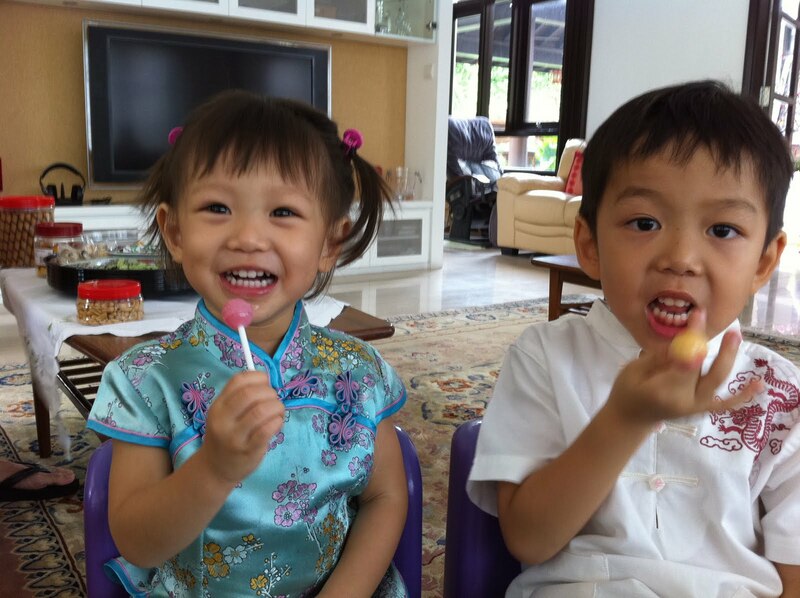 Here they are enjoying their first lollipop ever!